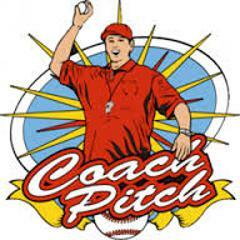 Designed for boys & girls aged 6-8, this division uses coaches to pitch allowing for more hittable balls at the plate and more action in the field. Emphasis is on starting to learn the game and rules of baseball. All positions will begin to be developed at this level including pitching and catching. The focus of Rookie League is to prepare each player to move on to the Minor Leagues. Games will be held twice per week. Games can be on either Tuesday's at 6pm, Thursdays at 6pm or Saturdays at either 11am or 1pm. Practices will be held one or two days per week starting in April and continuing thru the end of the season. The days of the practices are the decision of the head coach and can fluctuate throughout the season. Home games are played at the Spaulding Baseball Field. Away games will be played in either Pepperell or Shirley. We anticipate having three teams of 8-12 kids on each team. $75 per player + $50 required fundraising deposit - with a $400 family maximum across all TAYBS programs per season. There is a $10 discount if paid in full before October 1st, and a $25 late charge for any registration not paid in full by January 19th.